Many people begin their exercise routines with intentions of getting stronger, losing weight and improving health, but wind up disappointed when they lose willpower and commitment. Physiotherapy can help you develop a routine you can stick to! Finding success not as easy as it sounds. A consistent and ultimately successful workout routine requires more than just willpower; it needs to be the right routine for your needs and your life style, so that you can make a regular habit of it. If you're struggling to establish and maintain a regular exercise routine, you're not alone! We all face commitment difficulties in life, and need some outside help from time to time. There are many people who can help you along the way on your health and fitness journey, from exercise buddies, fitness coaches and professionals, to online support groups. 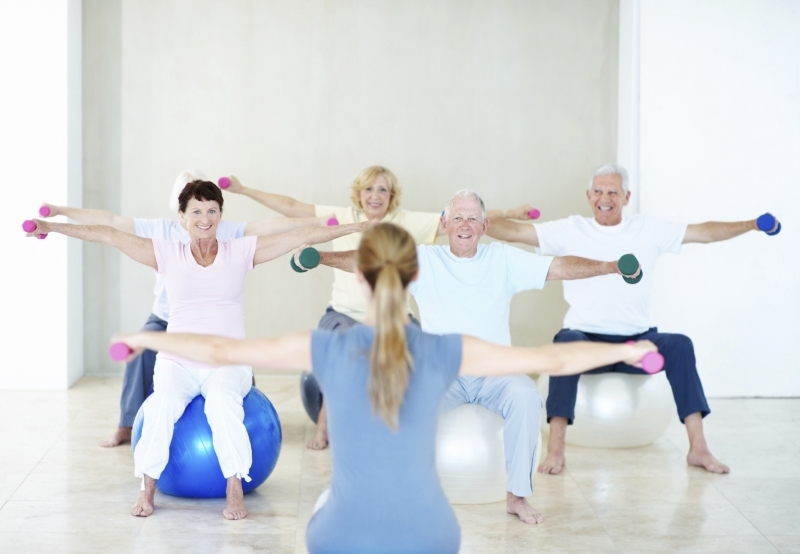 However, if you want serious support when starting and building your exercise routine, consult a physiotherapist. A physiotherapist will help you formulate an individualized exercise routine, based on your needs, and help you stick to it. This will result in less pain and injury, a stronger body & mind, increased flexibility, and a happier you. When your physiotherapist designs an exercise plan for you, she will ensure that it fits in well with your unique fitness goals and lifestyle requirements, making it sustainable over a long period of time. It will also be flexible, allowing for adjustments to be made as your fitness level and overall health improve. Your plan absolutely must fit into daily life, allowing you to easily make a habit of it. Depending on your needs, this may mean exercising at home, in your neighbourhood, or at a gym. My patients laugh when I say anytime, anywhere, but it works! From taking the stairs instead of an elevator, to adopting a dog as a companion for walks around your neighbourood, everyday life affords all sorts of opportunities to get fit and active! Variety means using all your muscles, and in a range of different ways. Life is not lived in one position; we move about in a range of different ways throughout the day. Your exercise routine should support all the movements you need to make in your day to day life, from picking up your grandchild, to getting your groceries out of the trunk. After all, we do exercise in order to make life more enjoyable to live! Physiotherapists are great educators, motivators and coaches. We know it's important that you know not only which exercises to do, but also why it is you're doing them. Knowing how the movements you do during your exercise routine will help you feel better can be the motivating factor you need to stay consistent and reap the rewards of an active lifestyle. If you need help developing a sustainable fitness plan that works for you, a physiotherapist can help – reach out today!